"I can honestly say I've never killed someone who didn't deserve it." 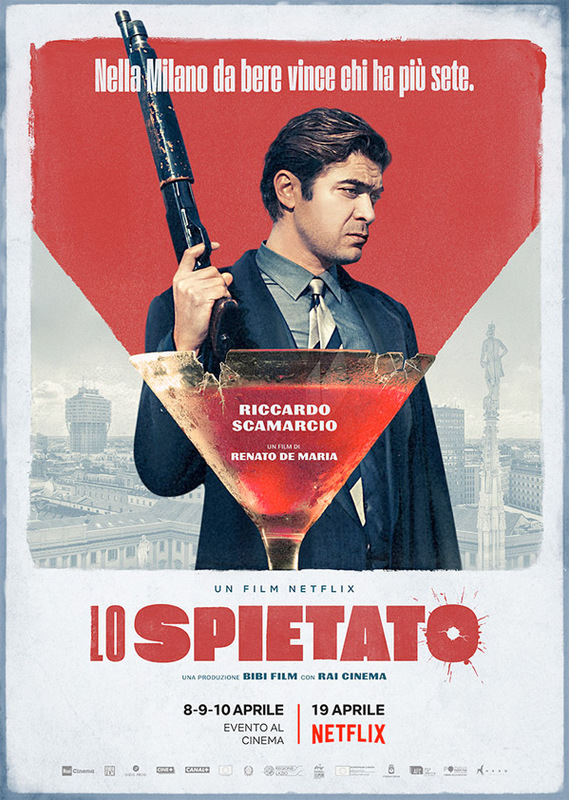 Netflix has debuted an official trailer for an Italian crime drama titled The Ruthless, also known as Lo Spietato in Italian (which just translates to The Ruthless). Set in Milan in the 1980s, the film tells the story of a rebellious teen named Santo Russo who grows up to become one of the city's most ambitious criminals. Riccardo Scamarcio stars as Santo Russo, with a cast including Sara Serraiocco, Valentine Payen, Alessio Praticò, Marie-Ange Casta, Fulvio Milani, and Alessandro Tedeschi. This looks as intense and as brutal as you'd expect for another Italian mafia film, with some of the usual gritty touches. Those greedy mobsters always try to take too much. 1980s Milan is an economic boom-town, and youngster 'Santo Russo' (Riccardo Scamarcio) begins to rise to prominence on a wave of crime and excess. A rebellious teen grows up to become one of Milan's most ambitious criminals during the golden years of the 'ndrangheta Mafia in the 80s. The Ruthless, also known as Lo Spietato, is directed by Italian filmmaker Renato De Maria, of the films Il Trasloco, Hotel Paura, Paz!, Amatemi, The Front Line, La Vita Oscena, and Italian Gangsters previously. The screenplay is written by Renato De Maria & Valentina Strada & Federico Gnesini. The film is getting a special limited theatrical release in Italy this month, and the will debut streaming worldwide. Netflix will release Renato De Maria's The Ruthless streaming starting April 19th, 2019 later this month. Thoughts? Who wants to see this film?